Term is almost over and it’s less than 3 weeks until Christmas… what better time than an impromptu break before the Christmas madness? Below are some of the best deals we have found for a December vacation! Visit Göteborg in Sweden from £29.34 per night, Riga in Latvia from £22 per night or Salzburg in Austria from £29.64 per night! Landvetter airport is the main airport and the centre of the city can be reached by bus in 30 minutes, and the bus runs every 15-20 minutes and costs 185 SEK (£14.40) return if bought online and 205 (£16) if not. 27 rides are open during the market, including a Sleigh Ride with reindeer! Hansel & Gretel On Ice is currently included within your ticket – watch the classic fairytale as you have never seen it before! Under 25? Entrance is free! Wednesdays 5:30-7:30pm is time to explore your artistic side – be introduced to different techniques and get practical tips. 30 SEK (£2.33) or free if under 25! Visit the old City Hall (Kronhuset) – now a vibrant craft centre! Many independent shops and cafés! The atrium-style Swea Hof restaurant has elegant gourmet dining based on local ingredients. Drinks can be enjoyed at the Plaza Bar and at the British-style The Bishop’s Arms pub. Guests can unwind in the relaxation area, complete with a sauna and a fully-equipped gym. The exclusive spa services at nearby Elite Park Avenue Hotel are also available for Plaza’s guests. Riga International Airport (‘Starptautiskā Lidosta Rīga’ in Latvian) is located 10km southwest of Riga. Bus 22 runs between the airport and the old town, with a stop near the central bus and railway stations. The bus runs every 10 minutes during rush hour and the journey to the old town takes 40 minutes. Another option is mini bus 222 departing from the same stop for €2 (pay the driver). Airport Express operates minibuses to the city center costing €5 per person. These run every 30 minutes but only take 20 minutes to get to the old town. Free – but guests are expected to tip how much they think it was worth! Great if you are a fan of museums! 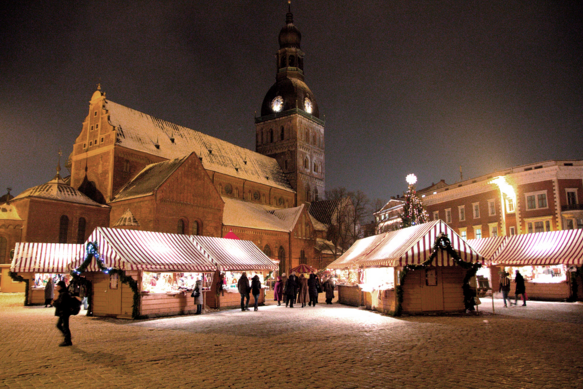 It is the biggest medieval church and one of the oldest religious buildings in Latvia and in the whole Baltic region. It combines features from Romanesque, early Gothic, Baroque and Art Nouveau periods of architecture. St. Peter’s Church is one of the oldest and most valuable monuments of medieval architecture in the Baltic States. 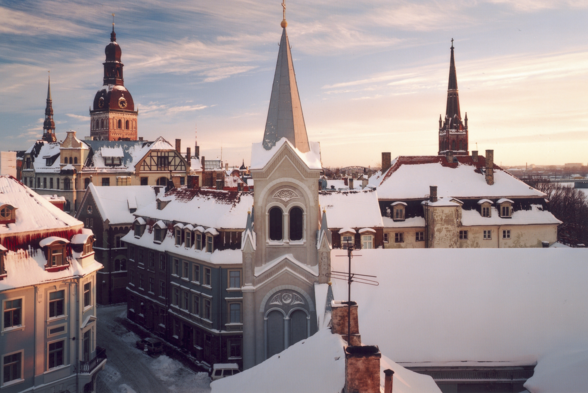 It is located in the historical centre of Riga and on 4 December 1997 was included among the UNESCO World Heritage sites. A varied buffet breakfast (included) is served in hotel’s lobby bar. Lunch or dinner can be enjoyed in the stylish Restaurant Desiderata, which specializes in Latvian and international gourmet dishes. Guests can relax in a hot tub and a sauna free of charge. The luxurious 5-star Royal Square Hotel & Suites is in the heart of Riga’s Old Town, a 5-minute walk from the National Opera. It features elegant rooms with free Wi-Fi. The rooms feature elegant décor in the shades of brown and beige. Each includes a flat-screen TV with cable channels, a minibar and an electric kettle. Featuring a hairdryer, the private bathrooms are also stocked with free toiletries. Spa center that features massages, as well as access to 2 saunas – Turkish and Finnish, and a hot tub. There also is an indoor swimming pool which is over 9 m long. Guests are welcomed to dine in the on-site restaurant, Melnā Bite, which specializes in Latvian cuisine. Breakfast buffet (included) is available in the mornings. According to reviewers, there is a Yoga teacher who comes on Tuesdays! Bed linens and towels are provided free of charge. The shared lounge room includes a small kitchen area with microwave, free tea and coffee, and a fridge. It also has a computer with free internet access. 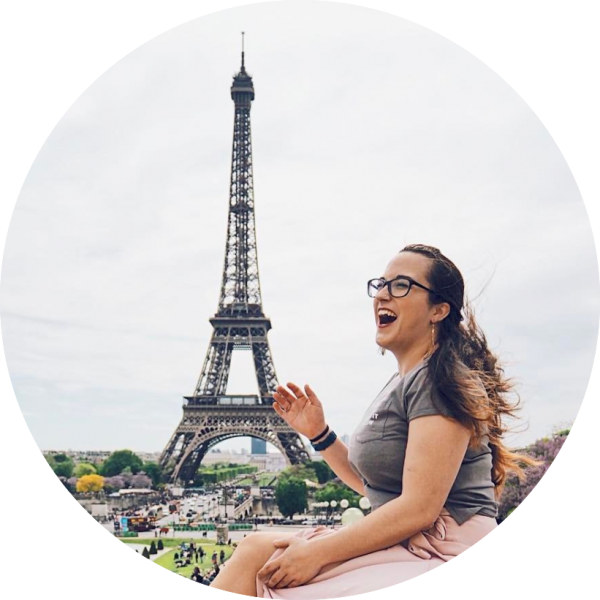 Many attractions are within a 10-minute walk from the hostel, including the Powder Tower, St. Peter’s Church and the National Opera. Salzburg W.A. Mozart International Airport is situated about 20 minutes from the center of the city. Connection with the city is provided by bus. The trip from the airport to the train station is approx. 20 minutes and costs €2.50. 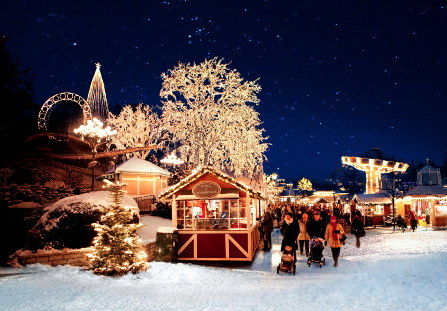 Salzburg’s Christmas Market is one of the best in Austria, in my opinion. 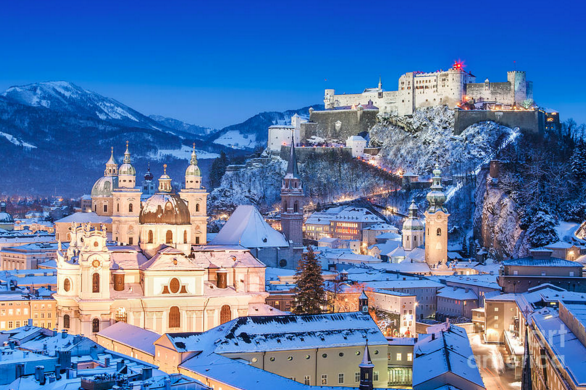 Potentially one of the best in Europe, although I may be biased as I live in Austria… but if you get the chance to visit Salzburg this winter, don’t miss the market! 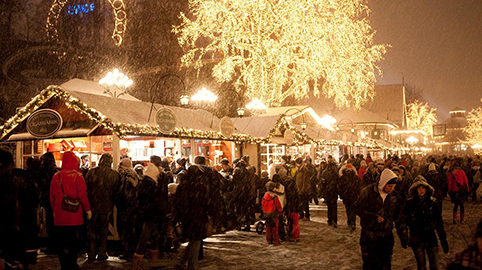 Salzburg’s Christmas market dates back from the 15th century! 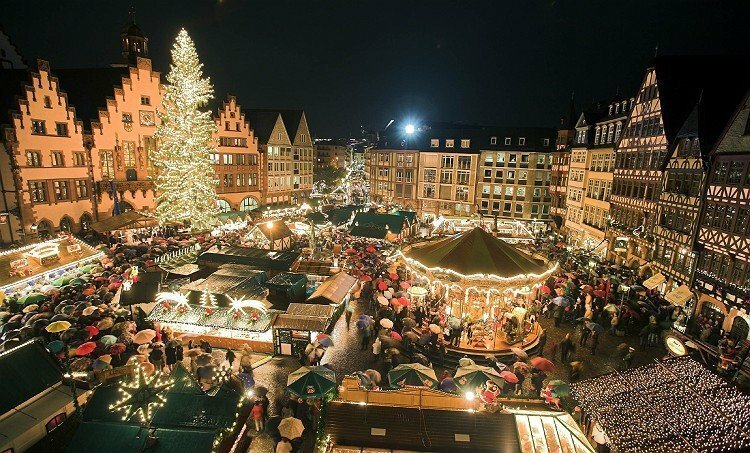 95 exhibitors display and sell goods such as decorations, candles, incense, Glühwein (hot mulled wine – the best! ), Christmas delicacies, sweets, jewellery and more! The road to the castle can be walked in 30 minutes or a funicular railway takes you straight there! A bar with a billiards table and foosball is available. Guests can also use a Nintendo Wii and a guitar. 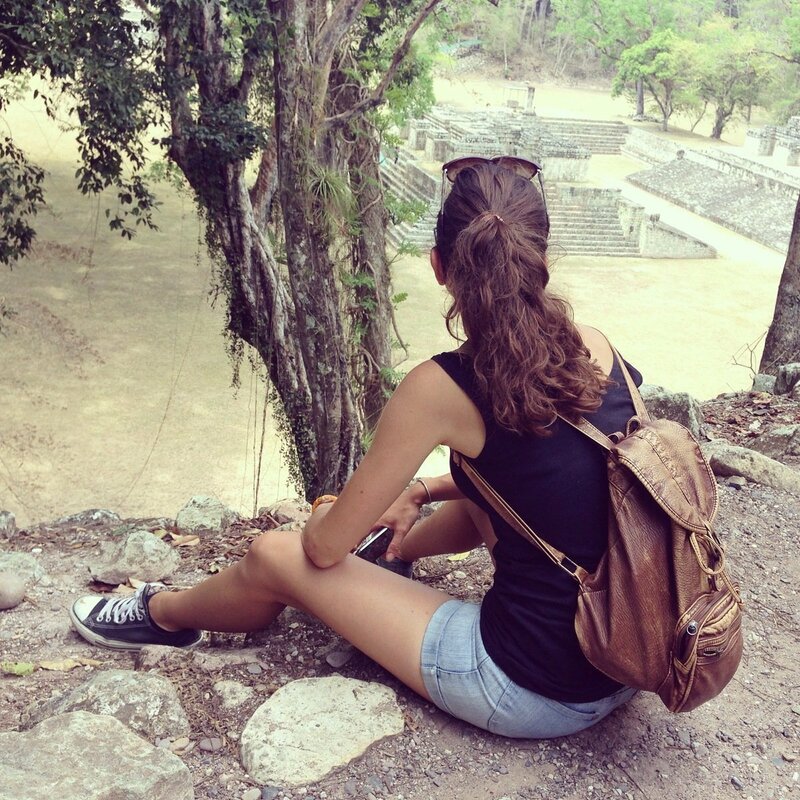 Found any great deals for a winter break? Share them with us in the comments!